Celestial Bodies by Jokha Alharthi, tr. Marilyn Booth (Sandstone Press). The Years by Annie Ernaux, tr. Alison L. Strayer (Fitzcarraldo Editions). 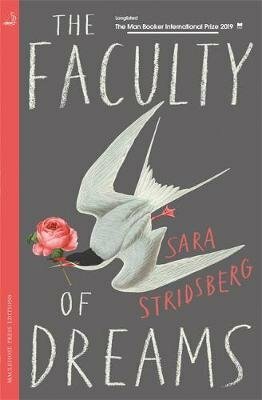 The Faculty of Dreams by Sara Stridsberg, tr. Deborah Bragan-Turner (MacLehose Press). Drive Your Plow Over the Bones of the Dead by Olga Tokarczuk, tr. Antonia Lloyd-Jones (Fitzcarraldo Editions). The Shape of the Ruins by Juan Gabriel Vásquez, tr. Anne McLean (MacLehose Press). The Remainder by Alia Trabucco Zeran, tr. Sophie Hughes (And Other Stories). The first thing to note here is the degree of overlap with the official shortlist: only one book is different (we have The Faculty of Dreams rather than The Pine Islands). Sadly, this similarity has come about in part because we found the longlist quite weak overall, so there weren’t as many good books to choose from as there have been in the past. Nevertheless, there are some fine books on this shortlist, and we have interesting discussions in store before we choose a winner. The official Man Booker International winner will be announced on the evening of 21 May, and we’ll reveal our shadow winner shortly before then. Well, this turned out to be my favourite book from the Man Booker International Prize longlist. It’s inspired by the life of Valerie Solanas (1936-88), who wrote the SCUM Manifesto and, in 1968, shot Andy Warhol. This is not, however, a fictionalised biography: Stridsberg describes it as a “literary fantasy”, playing fast and loose with even the known facts of Solanas’ life. For example, in real life, Solanas was born in the New Jersey city of Ventnor; in The Faculty of Dreams, she’s born in the desert town of ‘Ventor’ in Georgia – even the desert is fictional. And if you did not have to die, you would be Valerie again in your silver coat and Valerie again with your handbag full of manuscripts and your building blocks of theory. And if you did not have to die now, your doctorate would shimmer on the horizon. And it would be that time again, the ’40s, ’50s, ’60s, Ventor, Maryland, New York and that belief in yourself: the writer, the scientist, me. The great hunger and swirling vortex in your heart, the conviction. The effect of building a bespoke version of Solanas’ life in the novel is to keep the central questions of that life unresolved. It helps maintain a heightened sense of reality that runs throughout The Faculty of Dreams and makes the book all the more compelling. The Faculty of Dreams (2006) by Sara Stridsberg, tr. Deborah Bragan-Turner (2019), MacLehose Press, 340 pages, paperback. 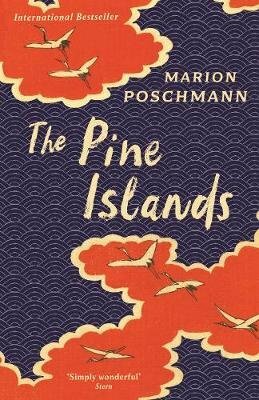 The Pine Islands by Marion Poschmann, tr. Jen Calleja (Serpent’s Tail). Generally speaking, I think this is a good shortlist. I do have my reservations: I’m not keen on The Pine Islands, and this list leaves off my favourite book from the longlist (The Faculty of Dreams, which I’ll be reviewing next). But you can’t go far wrong with the rest of the shortlist. We’ll be announcing the shadow panel’s shortlist next Thursday, 18 April. It’s not finalised yet, but it should make an interesting point of comparison with the official shortlist. After dreaming that his wife has cheated on him, Gilbert Silvester leaves Germany for Japan, for no reason he can articulate. Inspired by the travelogues of Bashō, Gilbert decides to go to the pine-covered islands of Matsushima in the north. He takes under his wing a young man named Yosa Tamagotchi, whom he stops from throwing himself under a train. We’ll find you a better spot, Gilbert tells him. Gilbert read his poem through a few times and concluded that he had reached the heart of the matter. The rules of the haiku, which he had learnt from the appendix of the Bashō book, had been perfectly realised within these lines: five, then seven, then once more five syllables, an allusion to the season, a sensuous impression, universal and seemingly impersonal, in which a sensitive reader would have nevertheless been able to decipher profound emotion. Well, if you say so, Gilbert. As Poschmann’s novel progresses, Gilbert’s journey of self-discovery gains more weight. There are lovely passages of nature writing in the latter stages (it’s a carefully controlled translation by Jen Calleja). The thing is that, when the book takes Gilbert more seriously, it ends up undermining the tone of critique that came before, and Japan itself feels more like a backdrop than a place. The result is a frustratingly uneven novel. The Pine Islands (2017) by Marion Poschmann, tr. Jen Calleja (2019), Serpent’s Tail, 184 pages, hardback. Everything will be erased in a second. The dictionary of words amassed between cradle and deathbed, eliminated. All there will be is silence and no words to say it. Nothing will come out of the open mouth, neither I nor me. Language will continue to put the world into words. In conversation around a holiday table, we will be nothing but a first name, increasingly faceless, until we vanish into the vast anonymity of a distant generation. This paragraph stopped me in my tracks; it wouldn’t be the last time that happened during the book. Beneath the surface of the things that never changed, last year’s circus posters with the photo of Roger Lanzac, First Communion photos handed out to schoolfriends, the Club des chansonniers on Radio Luxembourg, our days swelled with new desires. On Sunday afternoons, we crowded around the windows of the general electrics shop to watch television. Cafés invested in TV sets to lure clientele. Memory was transmitted not only through the stories but through the ways of walking, sitting, talking, laughing, eating, hailing someone, grabbing hold of objects. It passed body to body, over the years, from the remotest countrysides of France and other parts of Europe: a heritage unseen in the photos, lying beyond individual difference and the gaps between the goodness of some and the wickedness of others. Over the period narrated in The Years, the old voices fade and machines become the main repository of knowledge (“Only facts presented on TV achieved the status of reality”). The old stories are ultimately replaced by the internet’s grab-bag of information. Memory itself fragments. This is what I like most about The Years: the way it evokes the changing texture of living and remembering through time. 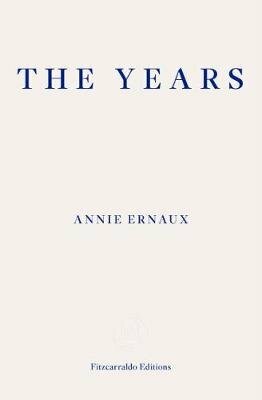 The Years (2008) by Annie Ernaux, tr. Alison L. Strayer (2017), Fitzcarraldo Editions, 232 pages, paperback. My reading for this year’s Man Booker International Prize begins with this novella by Dutch writer Tommy Wieringa, which draws its inspiration from a court case that the author attended in 2004. We are introduced to Ilhan and her friend Thouraya, daughters of Moroccan immigrants to the Netherlands. During a visit of their own to Morocco, the young women are persuaded by their old acquaintance Saleh to conceal nineteen-year-old Murat Idrissi in the boot of their car for the journey back. When they return to Europe, they discover that Murat has died in transit; Saleh promptly disappears, leaving the women to work out for themselves what to do. Either you are with us, said the most powerful man in the world, or you are with the terrorists. The plans, his words – they broke her world, the whole world, in two, into we over here and them over there. And Ilhan became them. And her body became over there. She felt how the enmity nestled in her organs, how she became infected by the fear and the aversion of others. That is how she became what others thought they were seeing, a double transformation. The women’s relationship with their Moroccan roots is complicated: for example, Thouraya is proud of the hardiness she has inherited from her father, but dismissive of what he endured to get to where he did. When Ilhan and Thouraya view living conditions in Morocco, it is clear they are doing so through Westernised eyes. Murat’s death brings these issues into sharp focus for the women, as they have a tangible reminder in their car boot of the real distance between themselves and where they’ve just been. Wieringa’s characterisation can be broad-brush, but his writing (in Sam Garrett’s translation) is sharp. The use of a dead Moroccan as a plot device gives me pause, but on balance I think Wieringa honours the gravity of Murat’s situation, rather than just exploiting his death to teach the protagonists a lesson. Ultimately Murat remains the book’s centre, all the more so because he is denied a voice of his own. 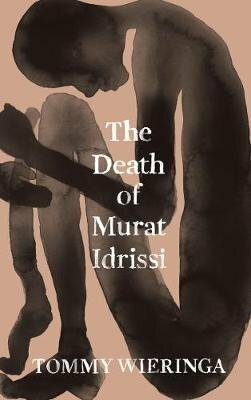 I found The Death of Murat Idrissi a welcome addition to the MBIP longlist, and I will certainly be reading Wieringa again in the future. Man Booker International Prize 2019: let the shadowing begin! Celestial Bodies by Jokha Alharthi, tr. Marilyn Booth (Oman, Sandstone Press). Love in the New Millennium by Can Xue, tr. Annelise Finegan Wasmoen (China, Yale University Press). The Years by Annie Ernaux, tr. Alison L. Strayer (France, Fitzcarraldo Editions). At Dusk by Hwang Sok-yong, tr. Sora Kim-Russell (South Korea, Scribe). Jokes for the Gunmen by Mazen Maarouf, tr. Jonathan Wright (Palestine/Iceland, Granta). Four Soldiers by Hubert Mingarelli, tr. Sam Taylor (France, Granta). The Pine Islands by Marion Poschmann, tr. Jen Calleja (Germany, Serpent’s Tail). Mouthful of Birds by Samanta Schweblin, tr. Megan McDowell (Argentina, Oneworld). The Faculty of Dreams by Sara Stridsberg, tr. Deborah Bragan-Turner (Sweden, MacLehose Press). Drive Your Plow Over the Bones of the Dead by Olga Tokarczuk, tr. Antonia Lloyd-Jones (Poland, Fitzcarraldo Editions). The Shape of the Ruins by Juan Gabriel Vásquez, tr. Anne McLean (Colombia, MacLehose Press). The Death of Murat Idrissi by Tommy Wieringa, tr. Sam Garrett (Netherlands, Scribe). The Remainder by Alia Trabucco Zeran, tr. Sophie Hughes (Chile, And Other Stories). After all my preparation, I have read a grand total of one book on this list, which just goes to show how many ways this prize can go. Much of this list is an unknown quantity to me: even the book I’ve read (Drive Your Plow) is one I’ll have to read again, because I didn’t know what I thought of it the first time. I’m disappointed that Convenience Store Woman and T Singer especially didn’t make the cut, but I am hopeful of finding gems on the longlist; in particular, I’m looking forward to reading Samanta Schweblin again, having loved Fever Dream. More generally, I’m pleased to see such a strong showing for small publishers (particular congratulations to Scribe and Sandstone, who are longlisted for the first time). It’s also notable that the list as a whole skews away from Europe and male writers. (A couple of housekeeping points: although The Years is part of Fitzcarraldo’s essay list, it was published as a novel in France, and was accepted for submission by the Booker after discussion with the publisher. The Faculty of Dreams and The Pine Islands were due to be published in April, but have both been brought forward to 21 March). My fellow shadow panel members this year are Tony, Bellezza, Emma, Oisin, Naomi, Barbara, Vivek, Paul, Frances, and Antonomasia. Do pay them a visit. The official MBIP shortlist will be announced on 9 April, with the winner to follow on 21 May. Until then, I will be reading and reviewing as many of the books as I can. Let’s go!